Paper Towns meets Thirteen Reasons Why­ —at prom. A riveting story told through four best friends’ point of view. Jenna, Rosie, and Ket will do anything to keep Elin’s secret—and to make sure it never happens again. That’s why they’re determined to make prom night feel just like it would have if this past spring hadn’t been as eventful. This could be the night that convinces Elin that life can go back to what it was. RuthAnne Snow was born and raised in Kaysville, Utah. She was a sorority girl in college and social activities director in law school—which was a lot like being back in the sorority. 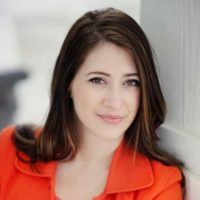 She has interned for the U.S. Senate, worked on policy papers for Congress and the State Department, and once spent a year sorting through emails looking for fraud. It wasn’t nearly as fun as writing fiction. She loves travel, dogs, horror movies, and baking. 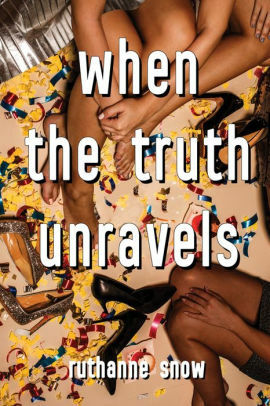 Her debut contemporary YA, When the Truth Unravels, will be published by Sky Pony Press in January 2019.